Which Countries' People Show Most Personal Charitability? Nonetheless, it reflects greatly on the culture of Myanmar, USA, New Zealand, Canada and Australia that their populace perform so charitably towards one-another. Although the CAF produce statistics annually, I have averaged results from 2013-2016 in order to average-out any temporary effects of recessions and world events on the statistics, and so that I could include more countries in the result set as long as they have returned data for any year in the last four. For more international statistics, see: "What is the Best Country in the World? An Index of Morality, Conscience and Good Life" by Vexen Crabtree (2017). The United Nations Human Development Report (2005) includes statistics on the amount of aid given to developing countries. It is shown as percent of the Gross National Income, so it includes both aid given by corporations and by individuals. The Report notes how the countries of the G7 - the richest industrial countries - dominate the global aid flow. It also notes how the most generous five countries, all above the UN's target of 0.7% GNI, are all small countries - Norway, Luxembourg, Denmark, Sweden and the Netherlands who have all "consistently met or surpassed the UN target". Japan has only recently fallen to such a low position (third from the bottom), nearly as stingy as the USA. The most generous countries are also the ones that do not tend to tie aid to their own products and services. The stingiest countries also, almost spitefully and nastily, force countries to buy their own services and products with the aid they give; which reduces free trade and commerce and harms the country's economy, as well as being simply selfish and conceited. Thankfully, many countries do not tie their aid. Countries that tie less than 10% of aid include Ireland, Norway and the UK, then Belgium, Finland, Switzerland and Sweden. The USA is the worst, and ties nearly 90% of its aid to developing countries. Italy is the second worst with 70%. The two worst countries for this obnoxious practice in aid-giving are also the two countries out of the most developed countries, who give least generously! The Center for Global Development compared the 21 richest nations, measuring a broad range of factors and policies to arrive at their values. "The CGD's report measures a broad number of factors for the index, rather than merely the amount of aid countries provide. It also examines several policy areas - such as trade investment migration and environment - while aid is measured not only in terms of quantity but as a share of its income and the quality of aid given "3. For more international comparisons, see: "What is the Best Country in the World? An Index of Morality, Conscience and Good Life" by Vexen Crabtree (2017). 2006 report, via BBC News article "Netherlands 'does most for poor'" (2006 Aug 13). (2004) "Give to Charity Directly, Not to Church" (2004). Accessed 2017 Aug 01. (1992) Introduction to International Politics. 1993 version. Published by Harvester Wheatsheaf publishing, Herts, UK. 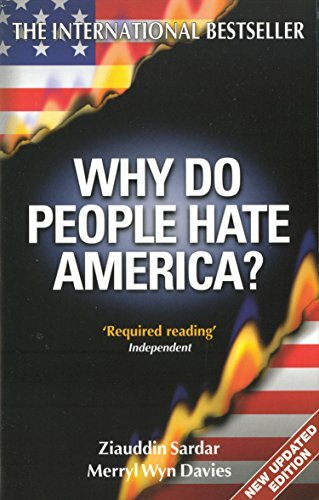 (2002) Why Do People Hate America?. (2016) The Human Freedom Index. Published by The Cato Institute, The Fraser Institute and the Friedrich Naumann Foundation for Freedom. Covers data up to 2014. On www.fraserinstitute.org/.../human-freedom-index-2016..